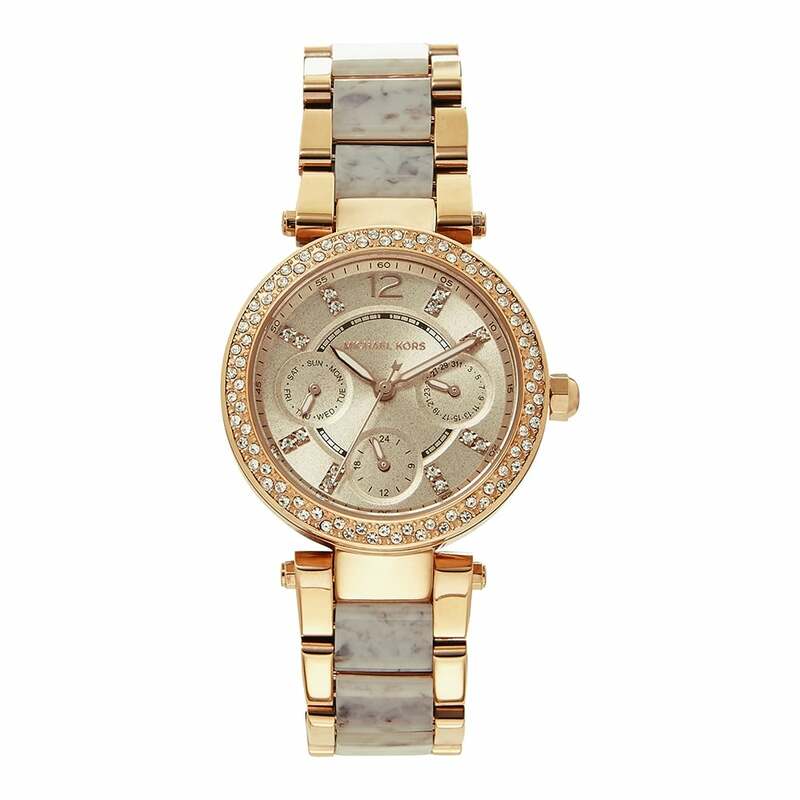 A beautiful and elegant Michael Kors Watch from the Mini Parker Collection, perfect those who prefer a more petite timepiece yet love that well known Michael Kors design. Produced with a 33mm diameter case, the Rose Gold dial has three multi function dials which shows the 24 hour, date and date, ideal for helping you to keep on top of those day to day jobs! Coupled with this, the 10mm width Rose Gold strap includes Purple links, adding a splash of colour to your outfit whilst also creating delightful arm candy both with and without added accessories beside the timepiece. Carefully packaged, this Watch comes provided in an Official Michael Kors Presentation Box plus a 2 years Tic Watches Warranty.